UN-sponsored Yemen peace talks will start in Geneva on Monday. The Huthi delegation to the talks left Sanaa International Airport on board a UN aircraft on Sunday. Meanwhile, UN Secretary General Ban Ki-moon and GCC Secretary General Abdullatif al-Zayani arrived at Geneva’s Palais des Nations for consultations before the start of peace talks. In Yemen, the Huthi insurgents, aka AnsarAllah, supported by elements of Yemeni army loyal to former president Saleh, captured the town of al-Hazm, the capital of al-Jawf province on the border of Saudi Arabia. 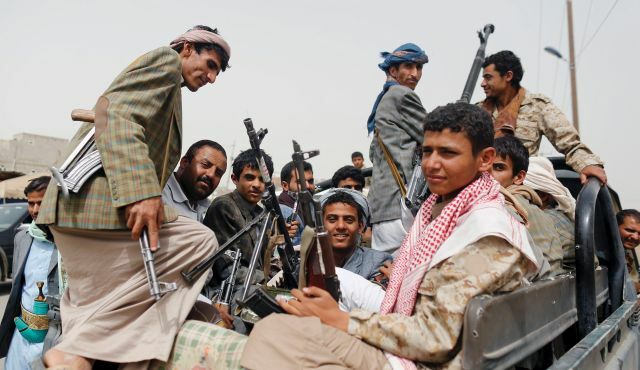 The town fell after heavy fighting with tribal militia loyal to exiled president Hadi (Reuters, 14 June). The capture of al-Hazm a day before Geneva peace talks is an important victory for the Huthis. Well it looks like the Saudis are pissed, so pissed they might impose a non-military zone inside Yemen's bordering areas according to Al-Arabiyah.